Im not sure if people know but i currently have 2 features listed on a great website that looks for obscure up coming artists and helps promote them on their site, which is called "Soundtracks and Trailer Music"
(for movies, shows and video games). 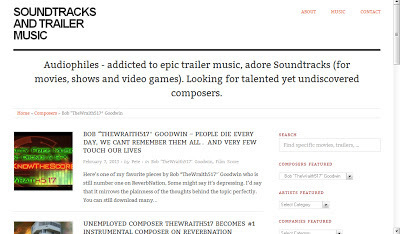 Looking for talented yet undiscovered composers. NO mixing or editing has been done on either piece of music.